Well applauded for its features like durability and easy to open, our range ofPlanet Lunch Box are a perfect choice for stacking any meal or snack to school or offices and also forms to be a great camping and picnics companion. Even the continuous use does not tamper or tarnish the product neither it retain stains, odours or residues. We offer these qualitative S.S. 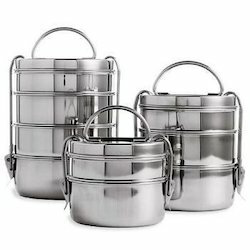 Lunch Boxes in sizes as desired by our clients at best prices in the industry.We deal only in stainless steel carriers. 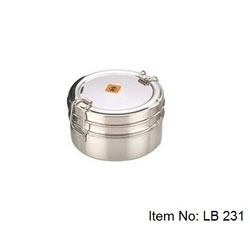 With our expertise in this domain, we are able to offer a superior quality range of Wire Tiffin Box. The offered range is known for keeping the food fresh and is admired for its features such as performance and durability. These products are highly appreciated among the clients, owing to their high tensile strength and corrosion resistance. Furthermore, this range is offered in different sizes, grade and forms as per the diverse demands of the customers. With the assistance of our experts, we have had the capacity to offer our customers a qualitative assortment of SS Food Carrier. 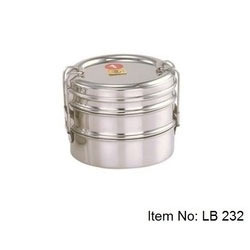 The offered food carrier is proficiently designed by our experts utilizing premium quality stainless steel get from the dependable merchants of the business sector. Besides, our customers can benefit this food carrier from us in different outlines and sizes at an exceptionally sensible rates inside guaranteed time period. Bento Food Carrier offered comes in three container stainless steel finish and allows for easy takeaway support for cooked food items. 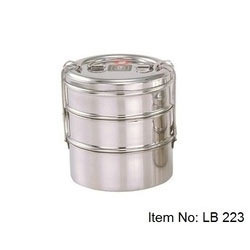 Finding wide usage by office goers as well as for picnic purpose, the food carriers comes in double wall structure finish that helps in keeping food warm for longer time duration. Some of its features include offers superior rust-resistance protection, healthy non-toxic usage, food safe finish, available in round shape and mirror polished finish from inside & outside among others. Double Layer Food Carrier offeredcomes in superior grade stainless steel 410 finish with quality surface polishing support from inside and outside so as to offer for easy cleaning and maintenance support. Supporting the demands of keeping food hygienic and warm for longer time, these carriers also feature durable and attractive appearance which makes them highly demanded in the market. Some of its features include rust resistant finish, can be provided in looks and styles as demanded by customers, offers great usage functionality support among others. 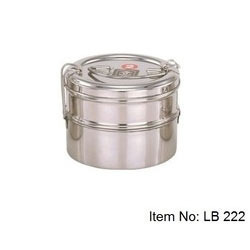 Triple Layer Food Carrier offered comes in stainless steel finish with mirror polishing finish from inside & outside so as to provide for lasting usage support. Offering higher retaining support for heat as well as providing for portable usage support, these food carriers are not only of good quality but are also made available at competitive prices. Some of its features include choice of different finish sizes, thickness from 0.3mm-0.6mm and single/ two-layer structure finish, allows for easy cleaning support, provide for airtight lid closure support and others. Looking for Stainless Steel Carrier ?